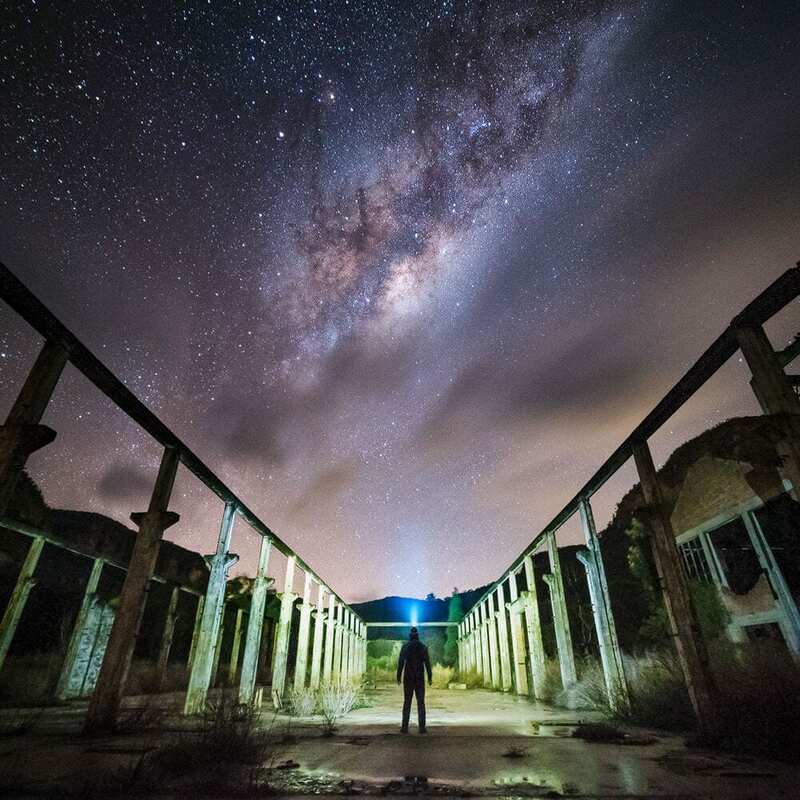 Milky Way photography is extremely fun and can produce spectacular images. Below are some tips to help you make the best Milky Way images that you can. • Location: Find a location with minimal light pollution. The camera will be adjusted so that it is very sensitive to light, and therefore any ambient light may wash out the stars. Use an app like PhotoPills to plan the shoot. • Season: The Milky Way is most visible in the southern hemisphere in the months of March to October. • Moon Phase: The skies will be darkest around the time of the new moon, leading to a better definition of the milky way in your images. You can still capture the milky way in other moon phases, but it’s worth noting the moon-rise and moon-set times as the skies will be darker after moon-set. • Camera Stability: As the shutter of the camera will be open for a long time during the exposure, ensure your tripod is sturdy and will not induce camera movements. • Camera remote: This will be very handy if you need to use bulb mode or you don’t want to use the camera’s self timer. Most cameras have 30 seconds as the longest exposure time and if you need to go beyond this you will have to use bulb mode. To capture the stars without trails you may find 30 seconds is sufficient, and therefore a shutter release cable may not be required. • Camera and Lens: Using a camera that produces less noise at higher ISO values is a huge advantage as the resulting image will be cleaner. 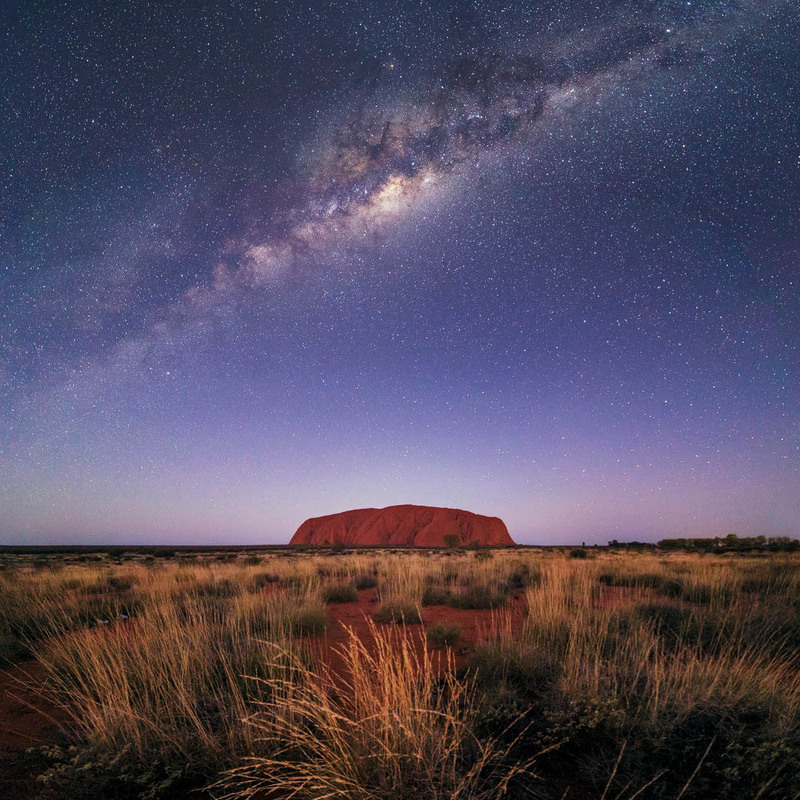 Also using a wide angle lens which has a wide maximum aperture is also a big advantage as it can fit in the entire scene including the milky way, and the wide aperture enables more light to be exposed to the camera’s sensor – allowing the selection of a lower ISO value or shorter shutter speed. • ISO: Chose the highest ISO value possible that produces images with acceptable noise. This will depend on the capabilities of your camera’s sensor. As a general guide try an setting in the range of ISO 1600-3200. • Focal length: Milky way images generally require a wide lens with focal lengths less than 24mm. This is to ensure the entire scene including the milky way fits into the frame. If you lens isn’t wide enough you can capture the scene as a panorama and stitch it together later. It’s also worth noting that the focal length of your lens will affect the exposure time, which is discussed below. • Affect of Focal length on Exposure: As a general rule, dividing 600 by the focal length of the lens (full frame equivalent) will determine this maximum shutter speed. For example 600/24mm = 25 sec, and therefore for a 24mm lens on a full frame camera the maximum exposure time to avoid star trails would be 25 seconds. Increasing the focal length (zooming in) decreases the exposure time as the stars will be comparatively larger in the frame and therefore trailing will be more evident. This means that an image will be easier to execute at the shortest possible focal length, as the camera will have sufficient time to expose the stars without showing trails. Obviously this will need to be balanced with the composition of the shot that you choose. • Aperture: Use your widest aperture (smallest number) to allow as much light into the sensor as possible. In the example above I have used f/4.0, which was as wide as my lens could go. If you can go wider than this (such as f/2.8) it is a bonus as you will be able to have a lower exposure time whilst capturing the same amount of light. This translates to less trailing evident in the stars. This also means that you may be able to reduce your ISO value and have less noise in the resultant image. • Focus Mode: Put your camera and/or lens in manual focus and set the focus ring on the lens to infinity. It will be so dark that the autofocus on the camera will not be able to pick anything up, so this is the only way to go. It is a good idea to review your first few exposures to ensure that everything is in focus and adjust the focus ring accordingly if it is not. • Exposure time: Now the tricky part, selecting the exposure time. If the shutter is open too long, the movement in the stars may be seen in exposure, leading to star trails. This is generally undesirable. Based on the settings above (ISO, focal length and aperture) the exposure time may vary somewhat, however it will almost certainly need to be below 1 minute to avoid star trailing. The best thing to do is to experiment with a few different exposure times to find the one that fits your settings the best, and I reckon that a 25-30 second exposure time is a good place to start. Post processing can improve the shot a lot. Good noise reduction software will help to remove the noise which results from the high ISO values. You can also increase the black level and contrast to bring out the sky and make the stars pop. The clarity and dehaze sliders in Adobe Lightroom can have a big impact in bringing more detail out in the sky, but don’t overdo it! You’ll get your best Milky Way images with a camera that produces lower sensor noise at higher ISO values, using a wide angle lens with a wide maximum aperture, keeping the camera stable with a tripod, understanding the maximum shutter speed for your lenses focal length to avoid star trailing, and using the highest usable ISO value for your camera. I use a Sony A7S camera and Samyang 14mm f/2.8 lens for most of my Milky Way images. The A7S has very low sensor noise at high ISO values and the Samyang 14mm is has a wide focal length and a wide maximum aperture. I hope this information was useful to you and feel free to leave me any comments!